Home / Hair Color / We’re Hiring! Dimensions Salon & Spa is an award winning, upscale Aveda Concept salon and day spa and we are looking to grow our team! 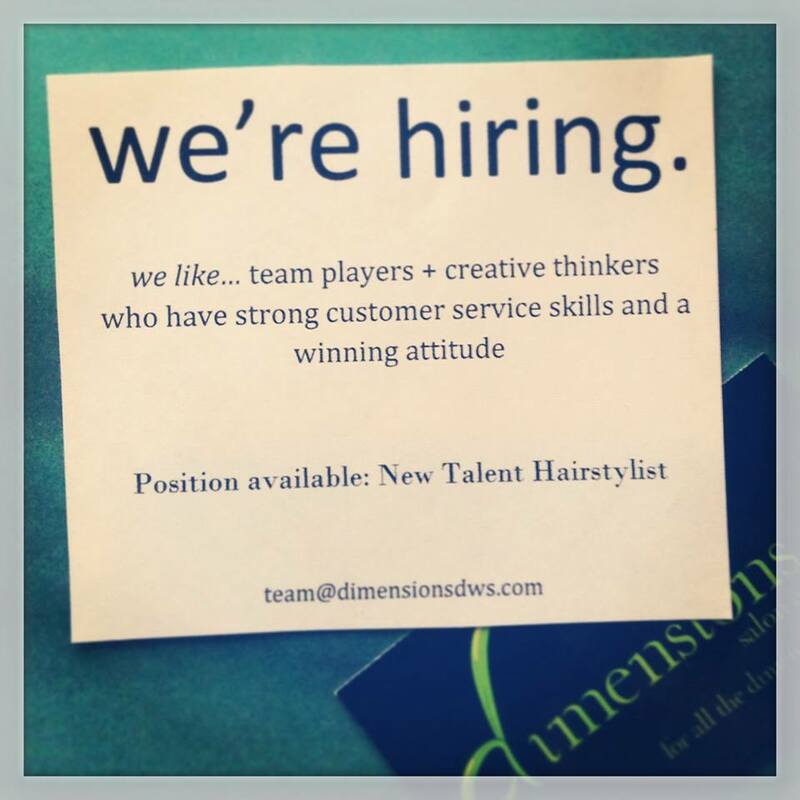 If you are a highly professional, team member with a passion for the salon/spa industry, we want you to join our team! Imagine the perfect balance of upscale ambiance, impeccable quality of service and guest relations sophistication. We offer a flexible schedule (Saturday and a night is necessary for “newbies”) with full or part time hours available. Our compensation is team-based, including competitive pay, with the possibility of monthly bonuses and paid vacation. If this sounds like what you are looking for we want you on our team!